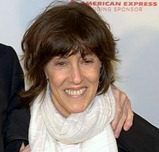 Nora Ephron, who wrote such fabulous hits as “When Harry Met Sally” and “Sleepless In Seattle,” died yesterday from pneumonia. She was 71 years old. Ephron grew up in a family full of great writers. Her parents were Hollywood screenwriters who wrote and produced films like the 1956 hit “Carousel” and wrote the screenplay for the 1961 Gregory Peck film “Captain Newman, M.D.” Ephron’s sisters are also writers. Nora Ephron started her writing career as a reporter for the New York Post. In the late 1970s, while married to Carl Bernstein, of Watergate fame, she assisted in a rewrite of the script for “All The President’s Men,” but it was not used in the final version. In the ’80s, Ephron co-wrote Silkwood with Alice Arlen. The drama, about a whistleblower who died in a mysterious car accident, was a sleeper that ranked 12th at the box office on its opening weekend, and was #1 at the box office seven weeks later. Ephron then wrote the screenplay for “When Harry Met Sally,” which starred Billie Crystal and Meg Ryan. For her writing on “When Harry Met Sally,” Ephron won a British Academy Film Award for Best Original Screenplay, received an Oscar nomination, a Writers Guild of America Award nomination, and the movie was awarded five Golden Globes – including one that went to Ephron for Best Screenplay. In 2006, Ephron was diagnosed with acute myeloid leukemia, which, according to published reports, led to her pneumonia. She leaves behind a great variety of writings, from the movies mentioned here, to articles, columns, books, and plays. She is survived by her husband, Nicholas Pileggi, two sons, writer Jacob Bernstein and rock musician Max Berstein, and her sisters, Delia, Amy, and Hallie Ephron.